Today was our last sea day for a while, so we decided that we might soak up every single moment of it. Taking our time through the bay and searching every nook and cranny to see what the ocean had to offer us. All in all, we encountered 3 of the Marine Big 5 today, with some awesome Copper Sharks sightings and African Penguins in the water and on the island. 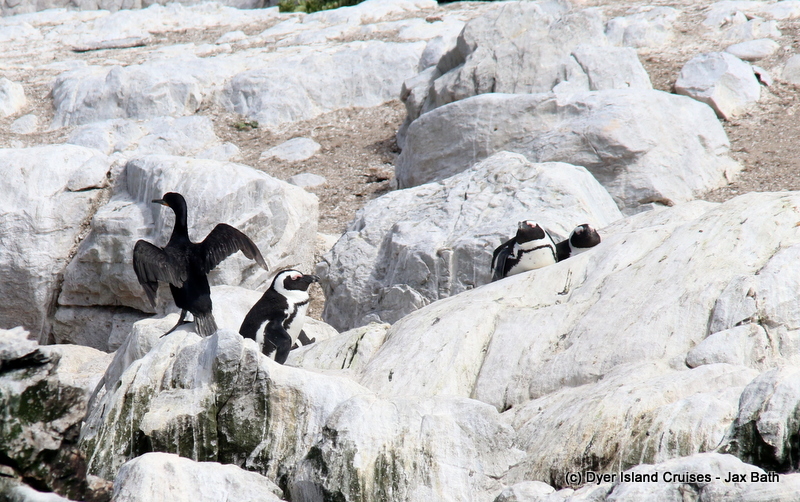 We also had a variety of bird species about and some action over at Geyser Rock. We started off our trip checking out for some dolphins over by the Uilenkraalsmond Estuary. 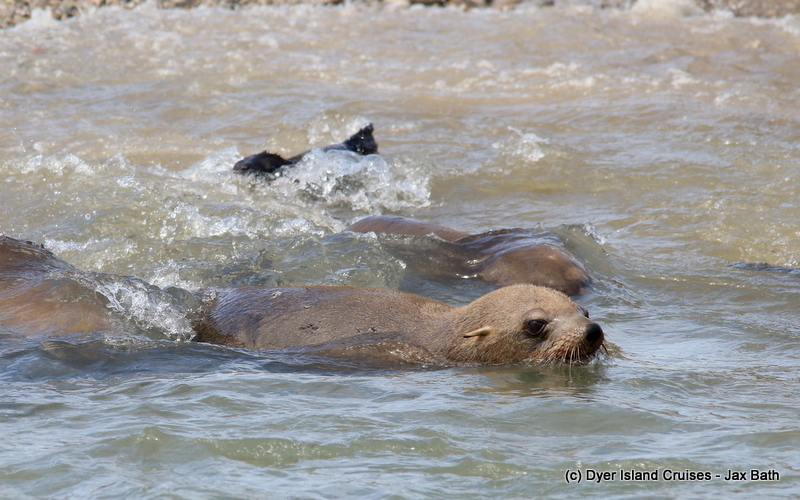 After doing a bit of searching here, we made our way along the beaches of Franskraal and Die Grys towards The Shallows. 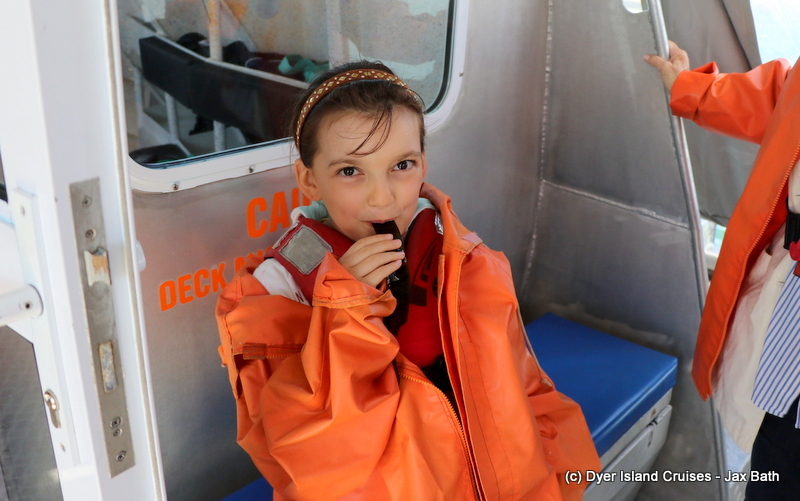 After cruising through these sharky waters, we took a nice stop on The Clyde to play with some kelp before spotting an African Penguin or two in the water. 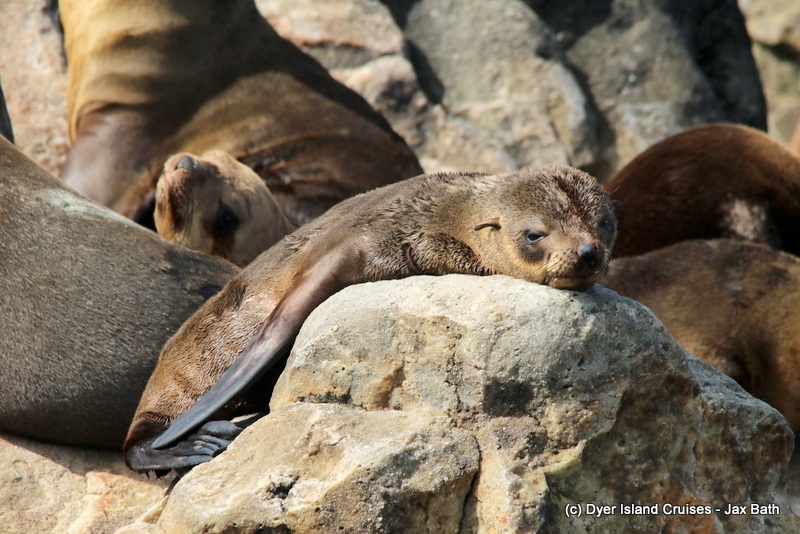 These little torpedoes in tuxedos are super-fast, but we were able to catch a few lovely views before taking a closer look at their home over at Dyer Island. 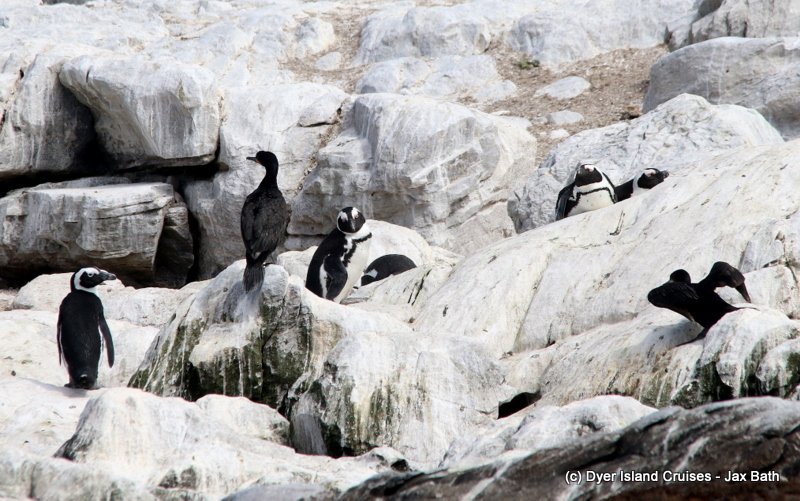 We had a few more African Penguins here and we also got to spend some time watching the Swift Terns as they did their synchronized mating flight. 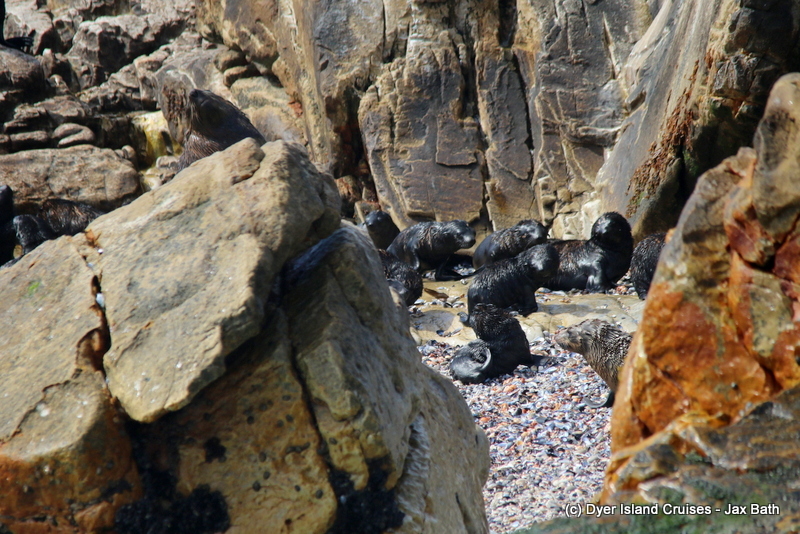 We then decided to travel towards a real highlight, our gorgeous colony of 60 000 Cape Fur Seals hanging out on the rocky outcrop of Geyser Rock. 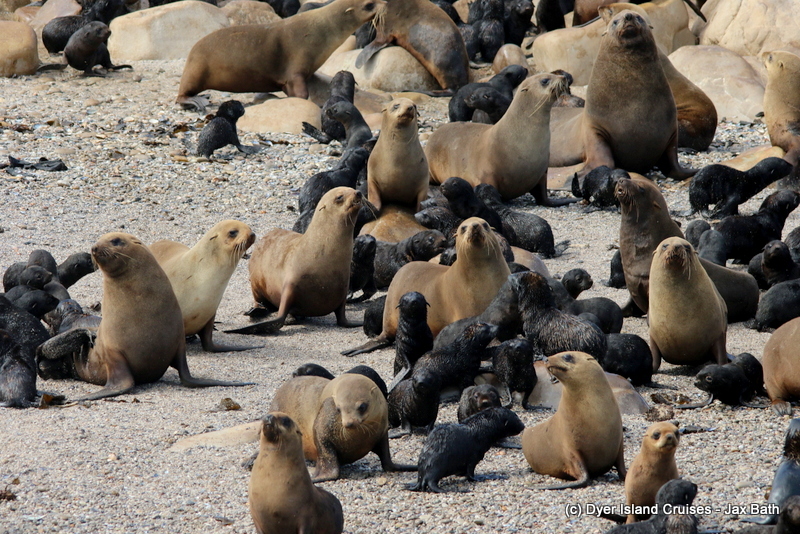 These seals were especially entertaining today, when thousands began to descend on the water at once. The seals will do this when something spooks them on the island as they are far more comfortable in the water than what they are on land. 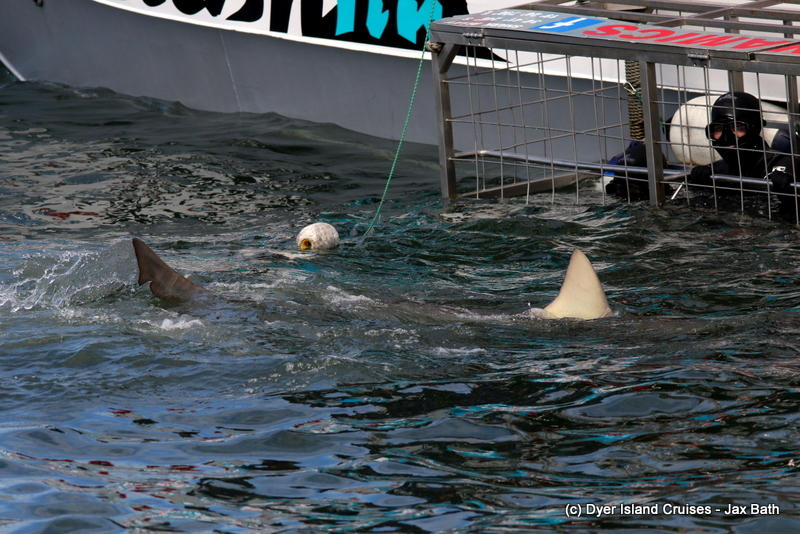 It is incredible to watch as they all boult for the channels, pushing pups out the way as they plunge into Shark Alley. After watching this, we returned to The Shallows to view our Copper Sharks, with a couple of larger animals stealing the show around the boat. After this awesome stop, we went back towards the harbour. 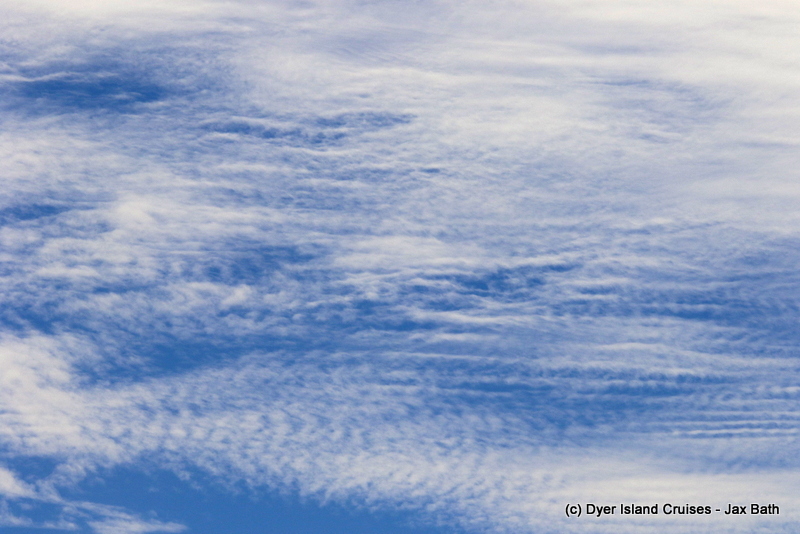 Stunning clouds over the ocean. An African Penguin or two. 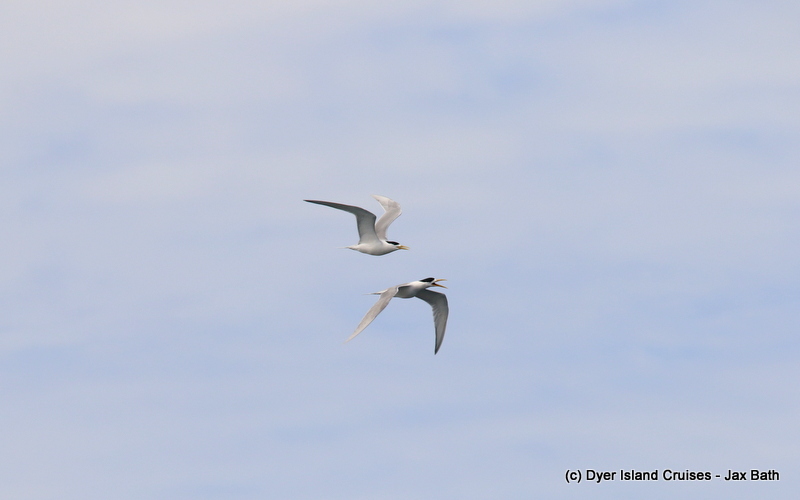 Swift Terns around Dyer Island. 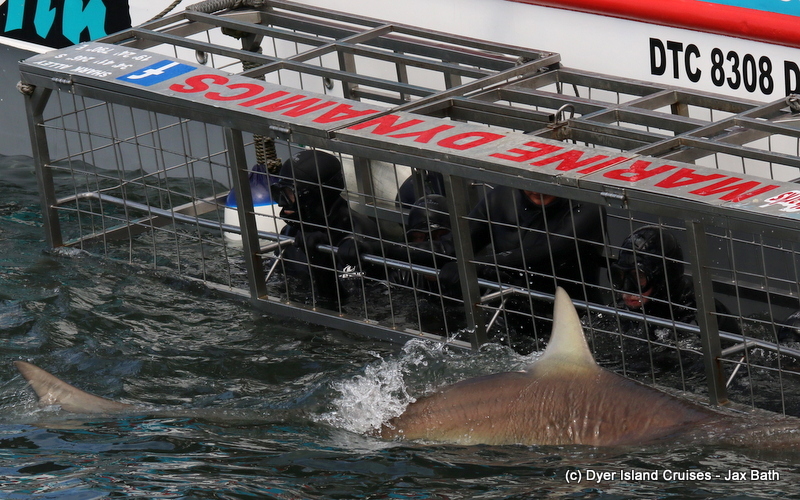 Bronze Whaler Shark checking out boats. 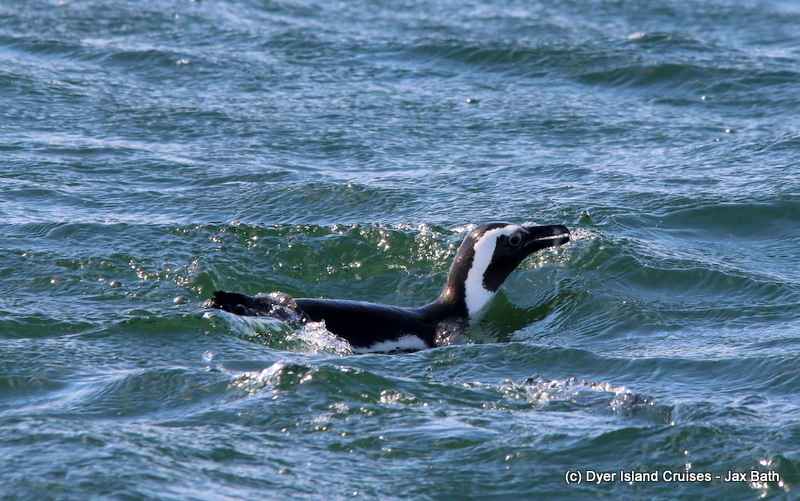 An African Penguin in the open ocean. A yearling taking a rest. Peaking through the boulders to spot some pups. 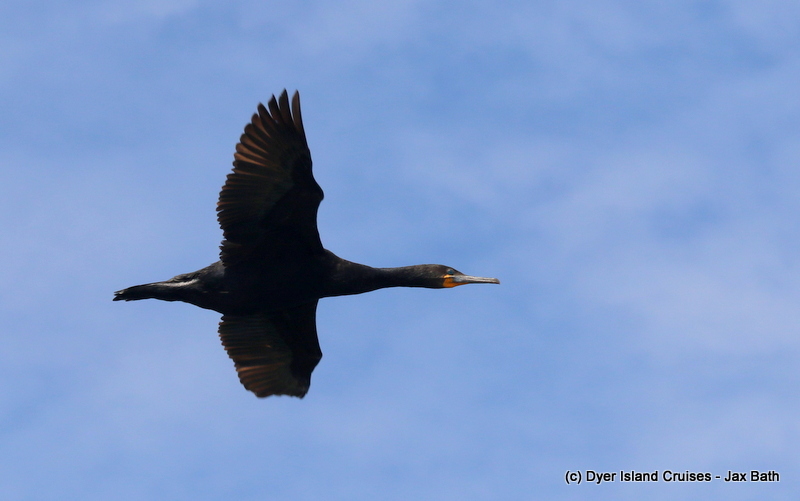 A Cape Cormorant in flight. 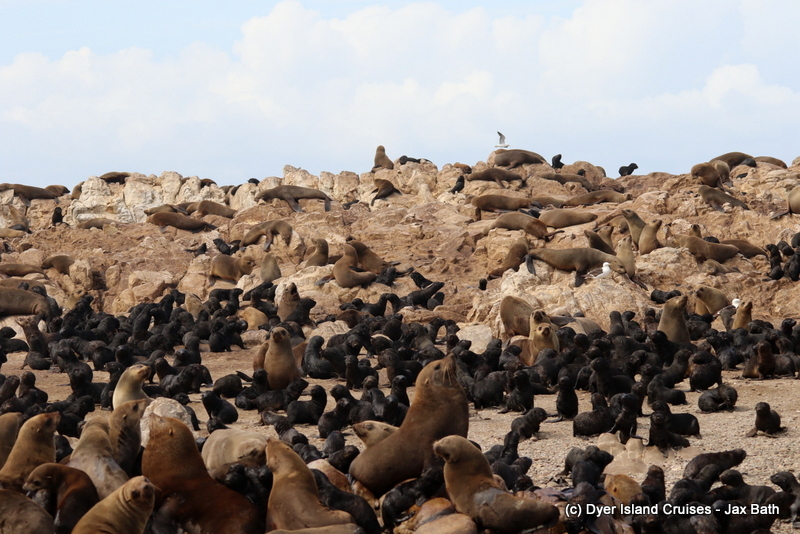 Thousands of pups on Geyser Rock. All the seals checking us out. Heading out for a swim.